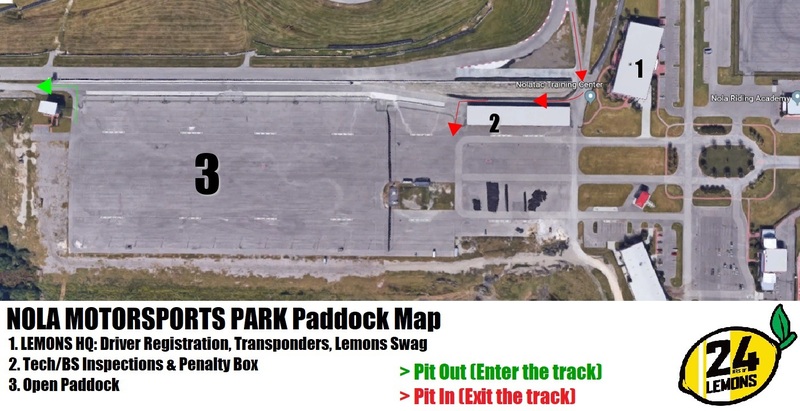 Track Configuration: 2.75 Mile 16 turn full track. 9am-4pm:Track Operated test day, one-hour lunch break at noon. $250 per car, Registration link here. NOLA testing rules here. (Disregard the 2018 reference on the rules.) 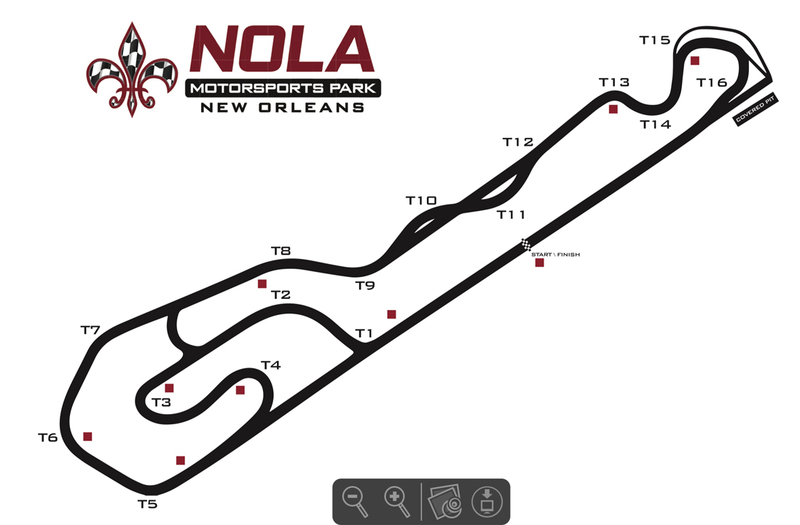 Teams will be asked to complete this NOLA testing tech form also. 5:15pm: Rookie Meeting at Lemons HQ. Overnight camping allowed. Click the camping toggle on your team page. RV hookup spots are extra, and reserved through the track. Electrical Hookups: There are 72 spots with power and water available by reservation only (no parking without a reservation). $40 per night. Email Jim at j.slane@nolamotor.com to reserve. BBQ's: Self contained BBQ's allowed. No camp fires, no ground fires. Fuel sold on-site: Yes. Credit Card pumps only: 87, 93, 98 Octane. Note: This is the closest hotel to the track.